This month's Hometown Hero goes to The Kapor Center for Social Impact, an organization who aims to have the tech industry be a true representation of our diverse nation. 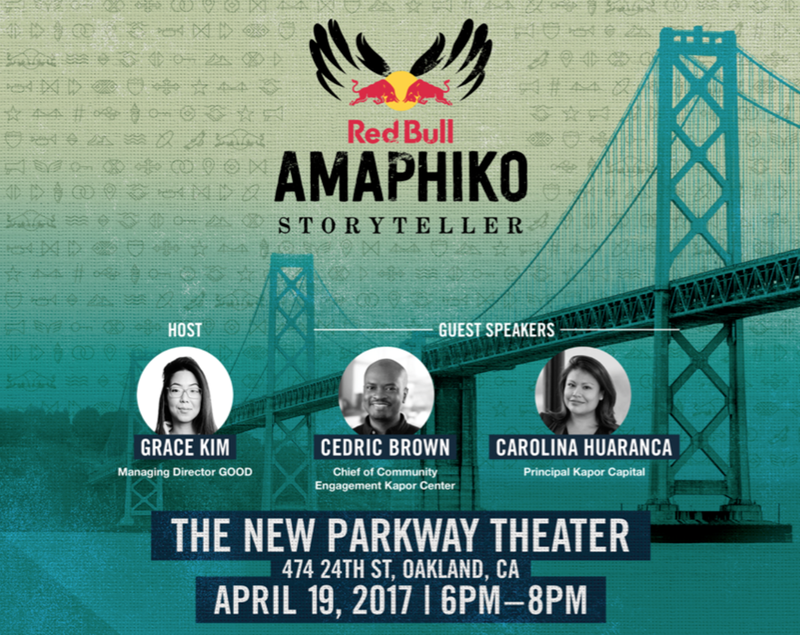 On Wednesday, April 19th, Odilcia and I attended the Red Bull Amaphiko Storyteller Workshop at The New Parkway in Oakland. It was an interactive workshop to help local social entrepreneurs, creatives, and grassroots innovators build their brand through the power of storytelling. Increasing access to tech and STEM education. Building strong community and community institutions to promote a more diverse tech ecosystem in the Bay Area, with a special focus on Oakland, our home. Leveraging our Oakland HQ as a gathering place for learning and leadership opportunities that help build/expand the startup ecosystem of gap-closing companies, especially in Oakland.